Rarely on this do we talk about ecommerce from a retail-first perspective. How does ecommerce as a channel fit into an existing and successful brick & mortar experience? 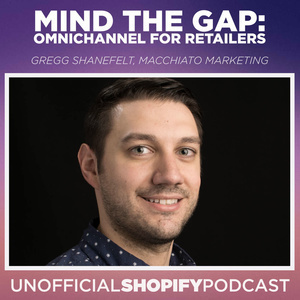 If you’re a retailer re-selling other people’s products in a brick & mortar, this episode is for you. Joining us to discuss it is Gregg Shanefelt. Gregg is a senior web developer and marketer who has been working with small businesses since 2009 with a passion for helping the little (and not so little) guys grow to compete and build the community.